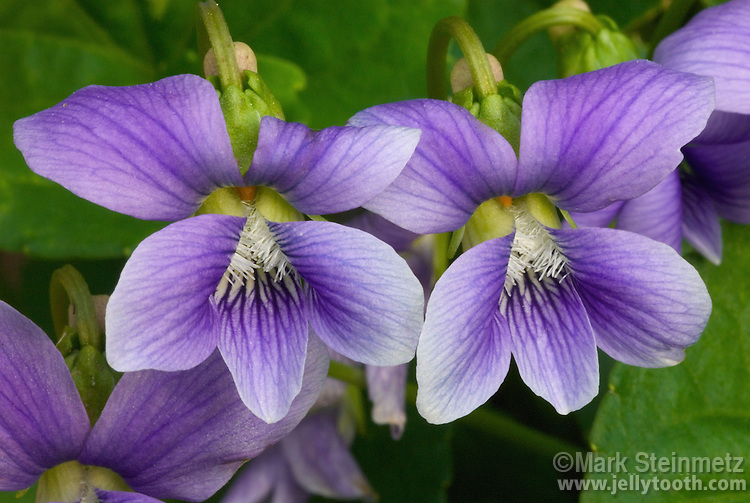 Close-up of two Common Blue Violets (Viola sororia). Franklin County, Ohio, USA. Also known as Viola papilionacea. Native and common to much of North America, it is the state flower of Wisconsin, Illinois, Rhode Island, and New Jersey.